Your One-Stop Golf Cart Shop in Phoenix! Cartz Partz is our name, and offering golf cart sales, service and parts is our business. Serving all of metro Phoenix AZ, we’re here to look after all your golf cart needs. If you think “golf carts Phoenix”, think Cartz Partz. For golf cart servicing and sales, we pick up and deliver throughout metro Phoenix, from Sun Lakes to Sun City West and all parts in between. Our customers recognize our commitment to delivering outstanding service and the best value golf carts in the Phoenix area. You could say we provide “country club quality” at “public course prices”! Most people call them “golf” carts, but many of the electric vehicles we sell or service never see a golf course! We sell and service carts from a wide array of private and commercial customers around the metropolitan Phoenix area. 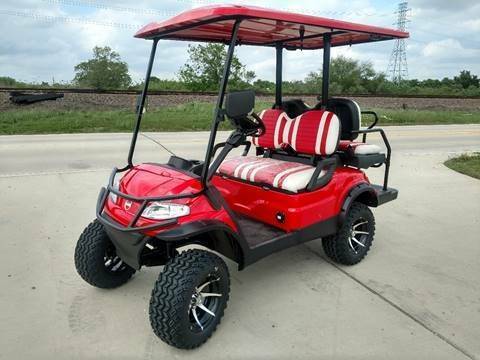 Looking to buy a new or used golf cart? We can get you in the right cart for the right price! If you need to have your golf cart serviced, repaired, repainted or re-upholstered, you're in good hands. We install golf cart parts or custom accessories, or if you prefer to 'do it yourself' we can offer advice - just call us! We sell a complete line of golf cart batteries, cables and chargers; batteries suitable for virtually every type of cart.